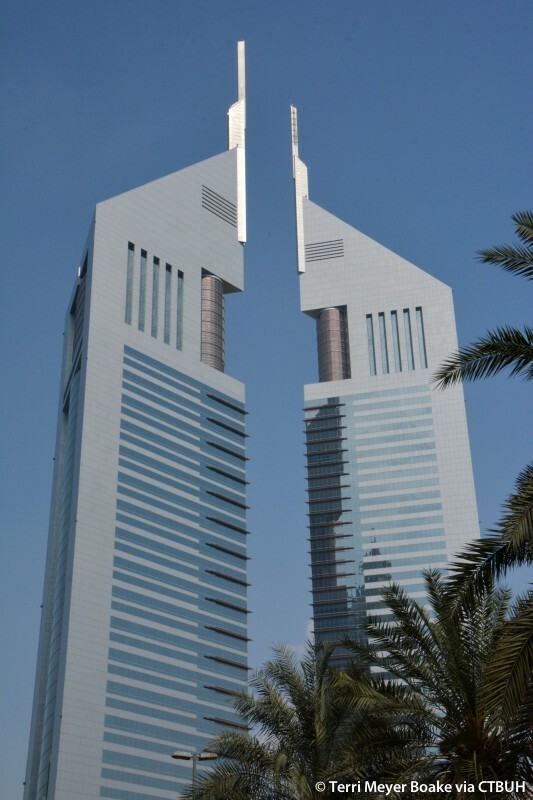 The Emirates Towers are one of the most distinctive skyscraper duos in the world, and were some of the first skyscrapers to be located along Sheikh Zayed Road in the financial center of Dubai, signaling a trend that has since seen the thoroughfare boom with construction activity. 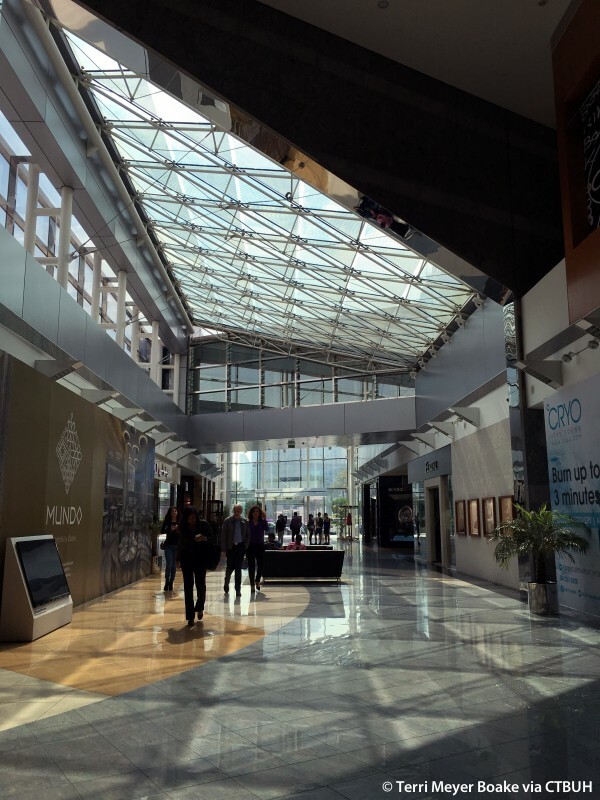 On the periphery of the complex, a beautifully landscaped environment with lush vegetation and meandering pathways imparts the feeling of an oasis in an otherwise rigid urban hardscape. 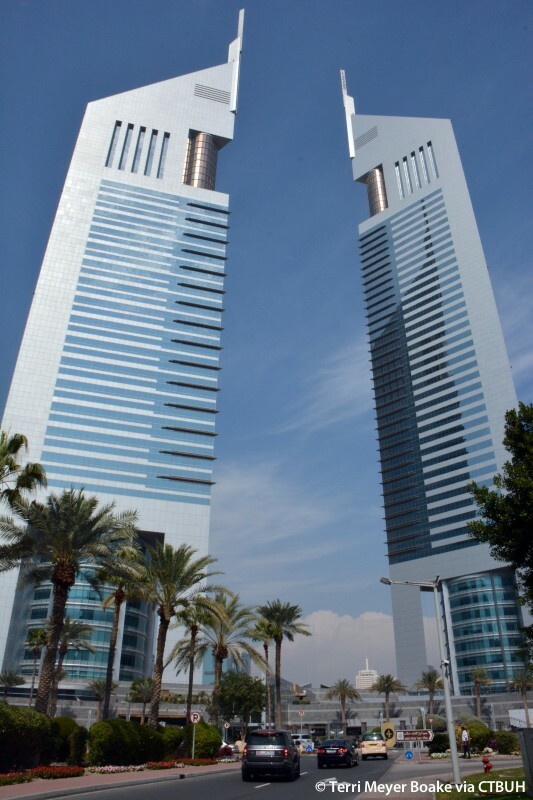 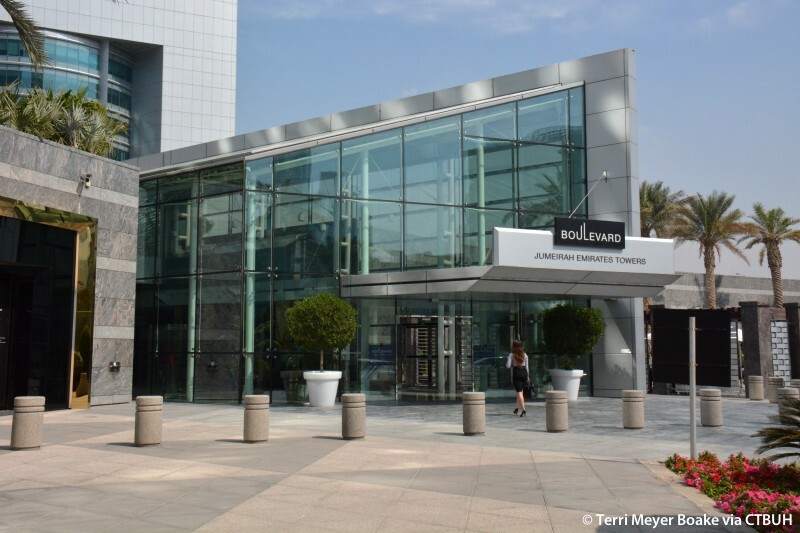 The towers rise from a three-story terraced podium, which houses a boutique retail mall, restaurants, and cafés. 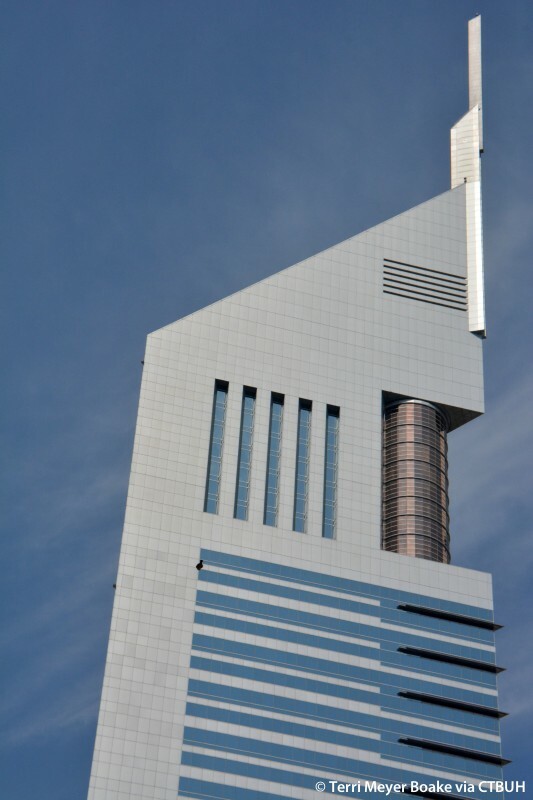 At the base, intersecting planes of curvilinear and vertical elements frame grand staircases that lead to the podium levels. 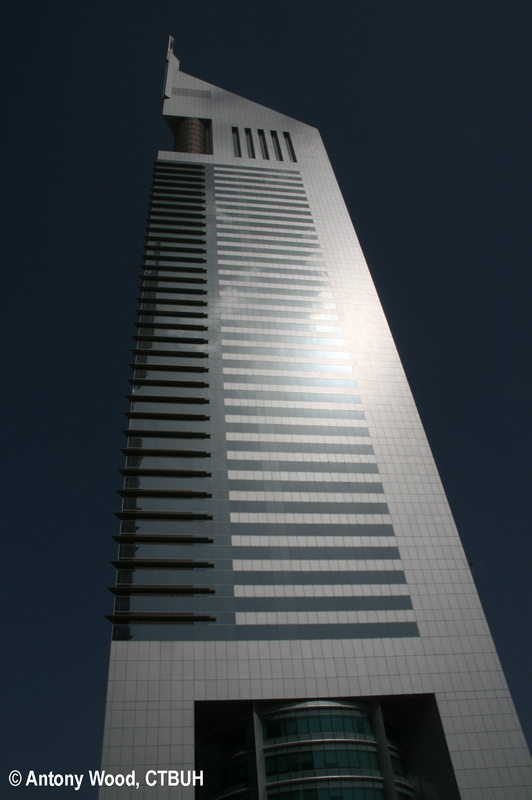 Clad in silver aluminum panels, and both silver and copper reflective glass, the slim towers capture shifting sunlight throughout the day, and enhance the bright city lights at nightfall. 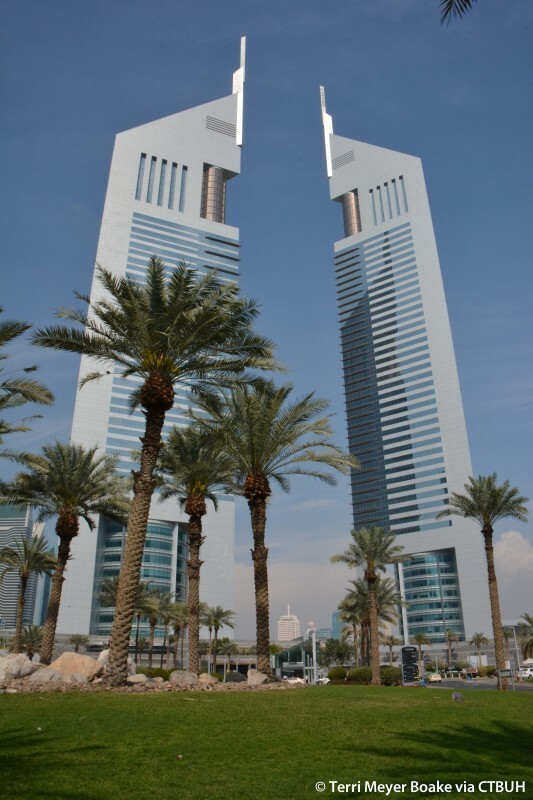 On either side of the towers are rounded low-rise parking structures, reminiscent of the shifting sand dunes that surround the city. 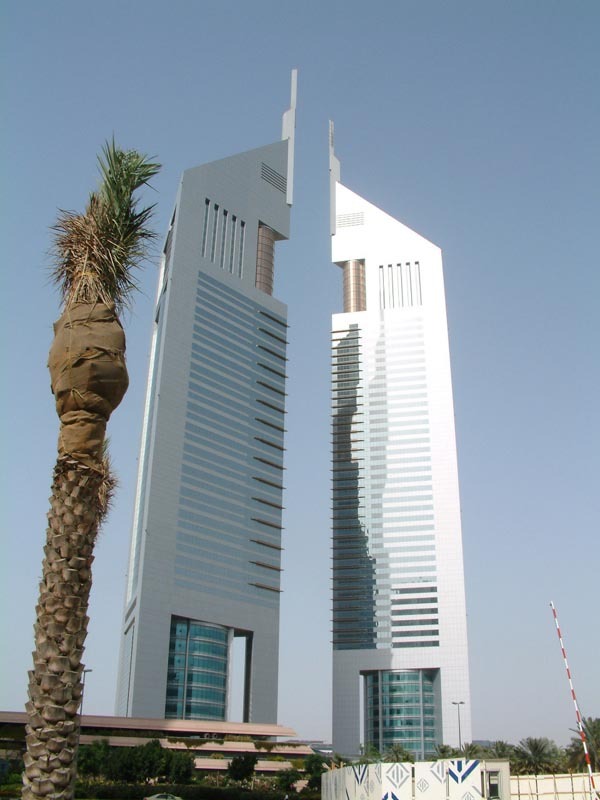 Both towers feature equilateral cross sections, with triangular footprint that affords the structure more stability from the lateral forces of wind and earthquakes. 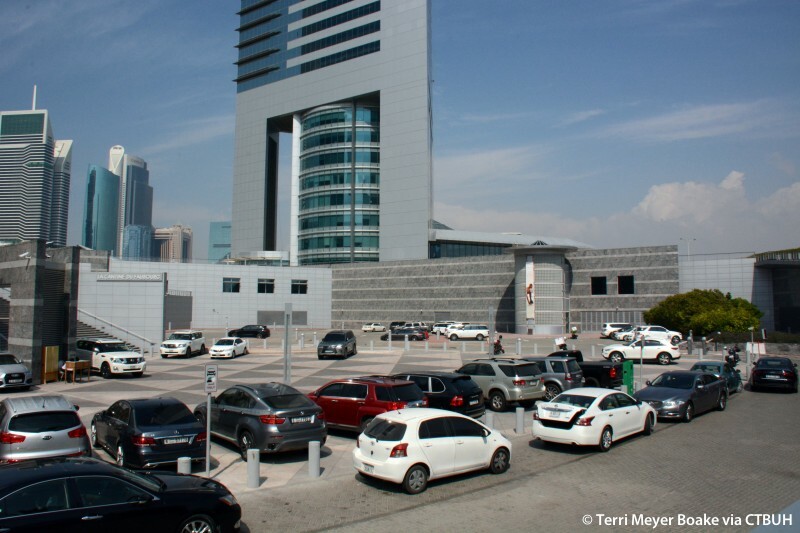 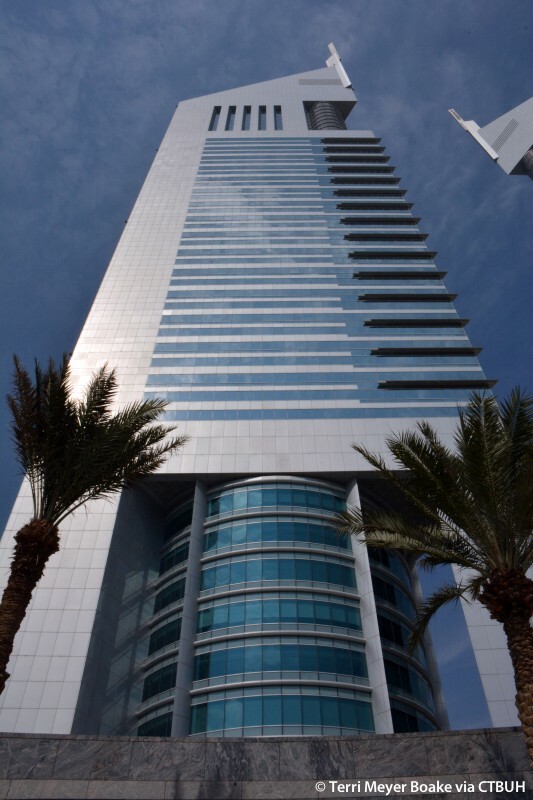 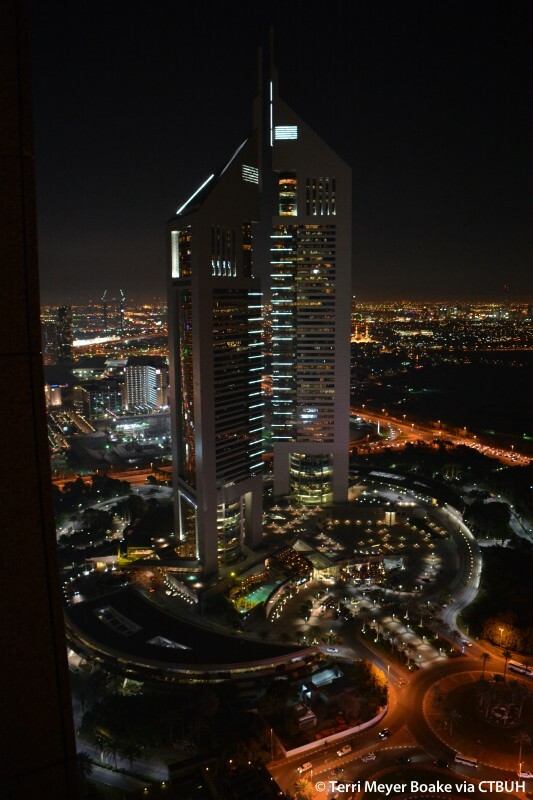 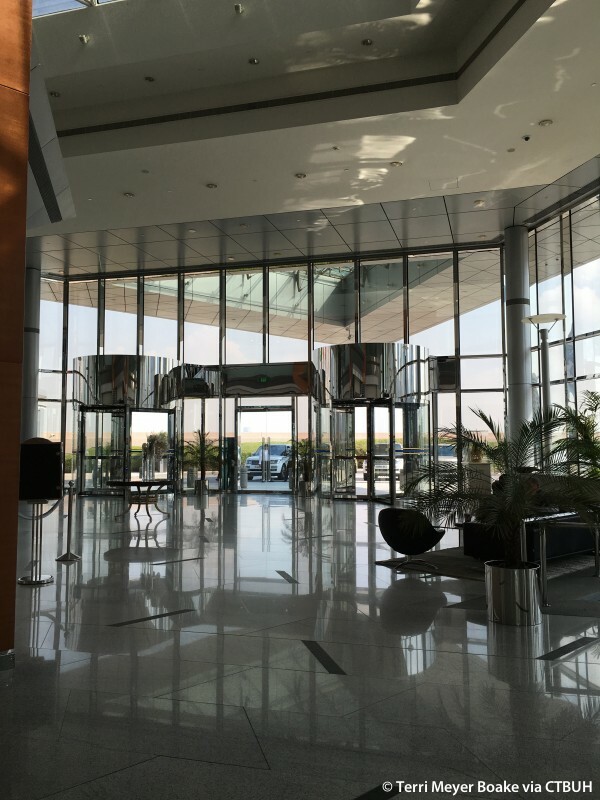 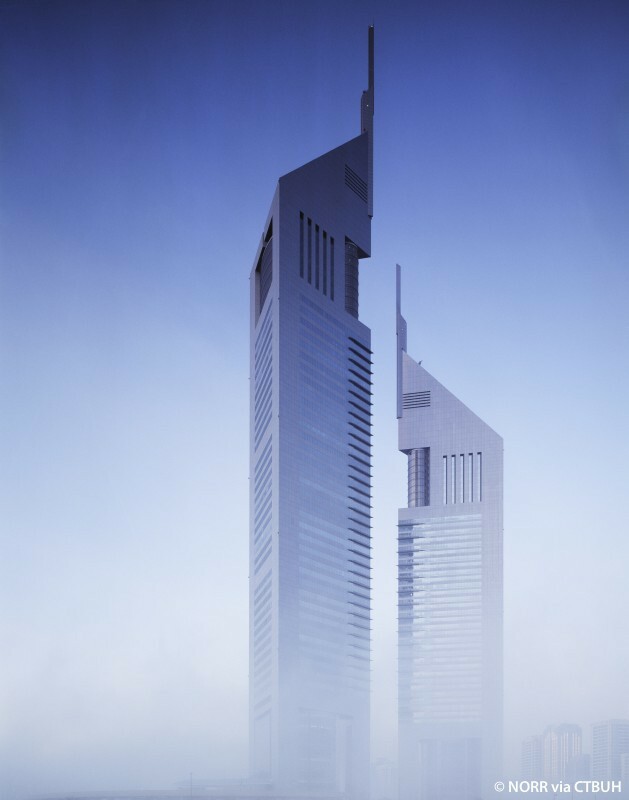 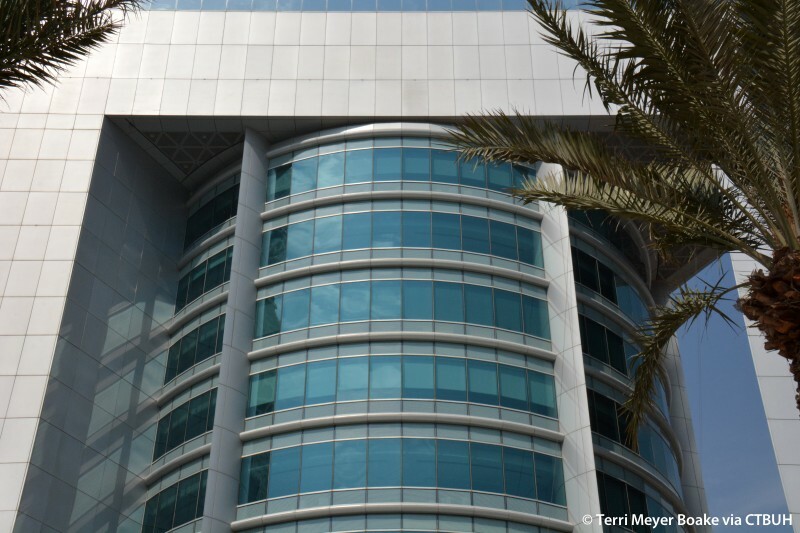 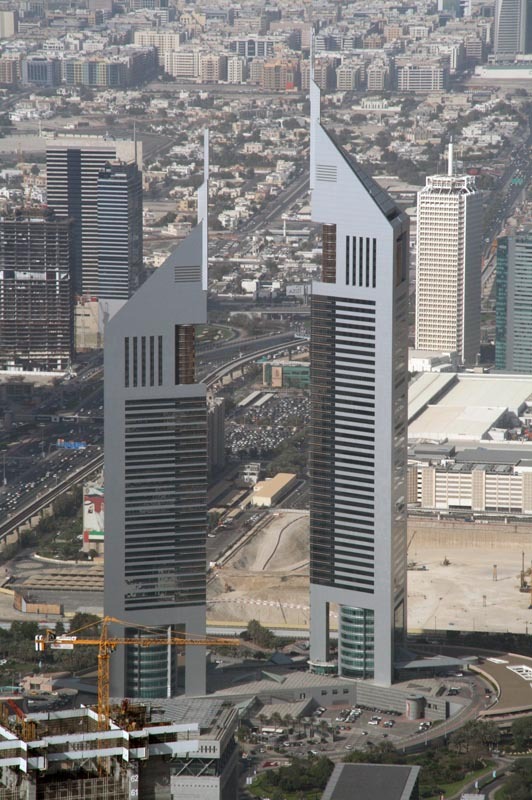 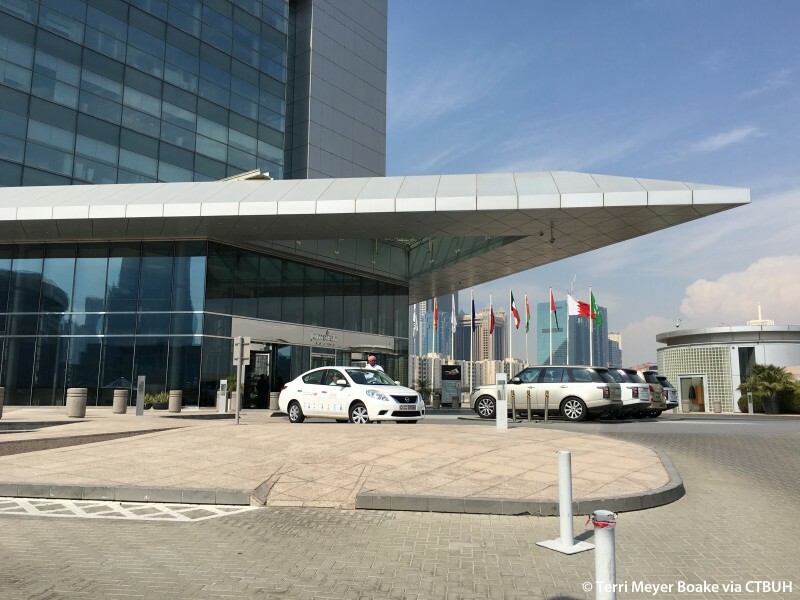 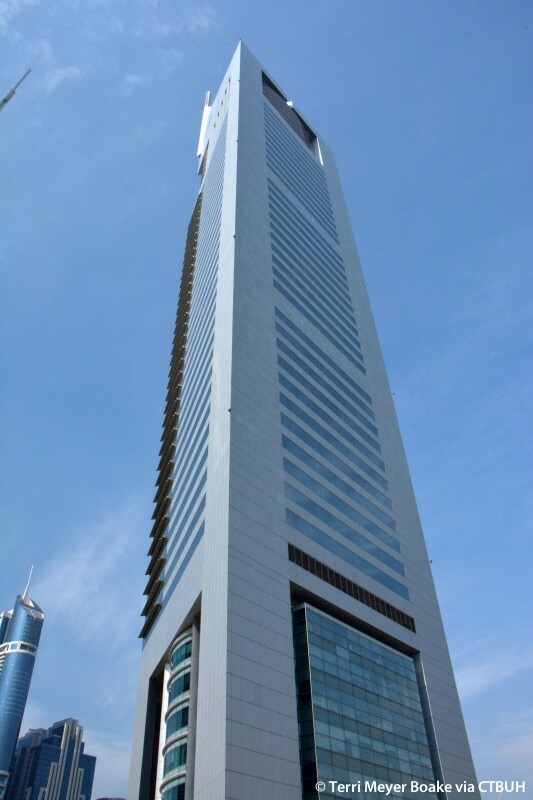 In Emirate Tower One, steel transfers at level nine distribute loads from concrete-filled steel tubular columns into three triangular legs at the perimeter. 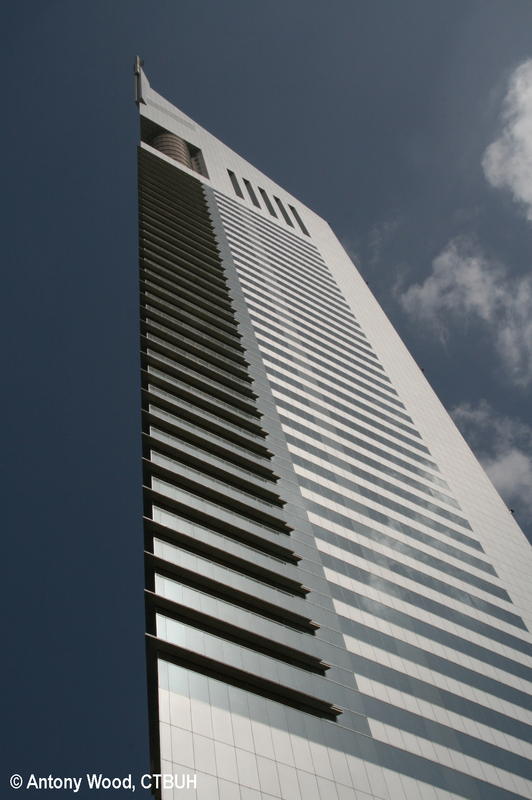 Three additional transfer floors and a tuned mass damper at the peak provide for maximum stability. 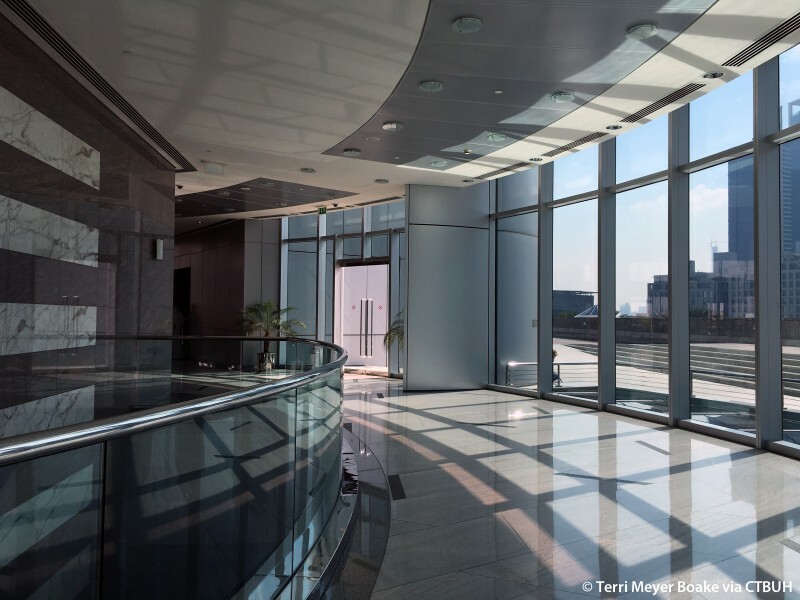 A steel and concrete hybrid solution throughout the tower allows for an abundance of column-free office space. 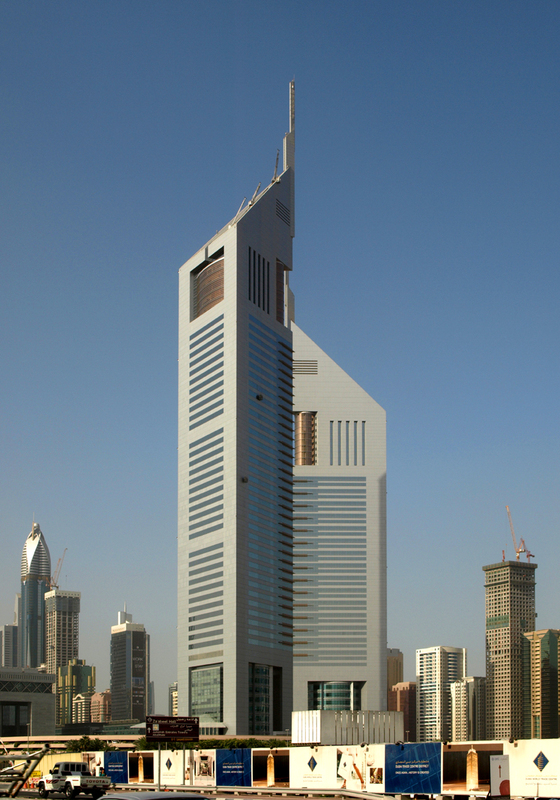 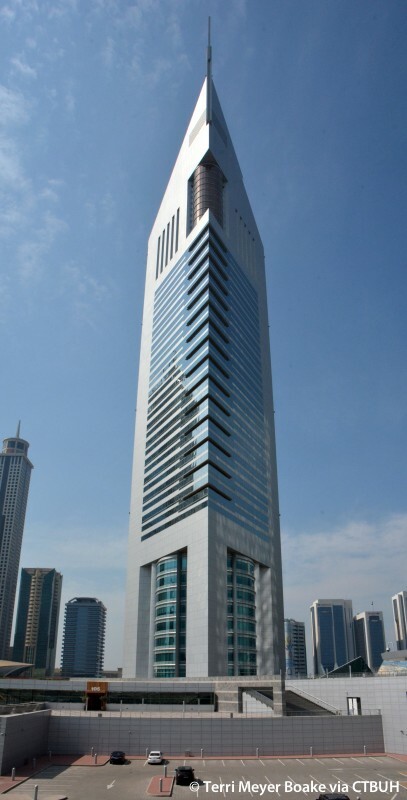 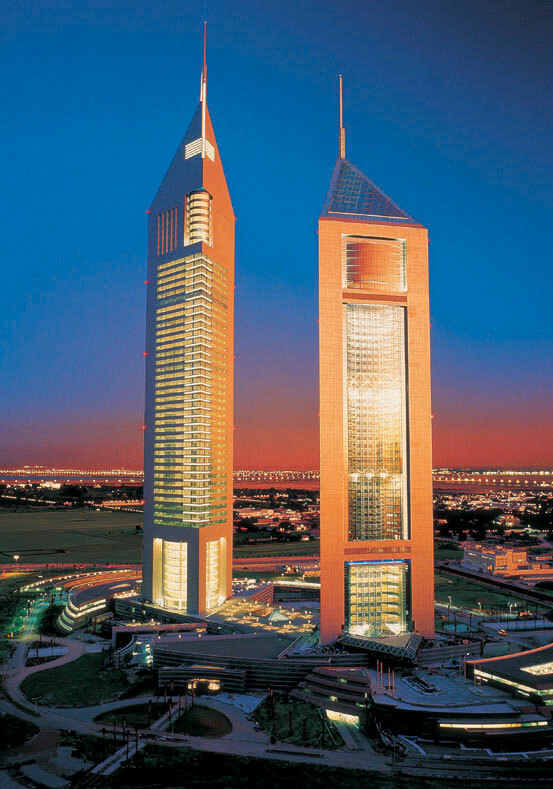 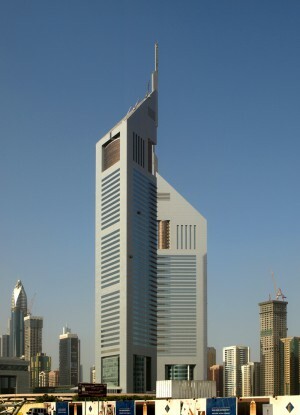 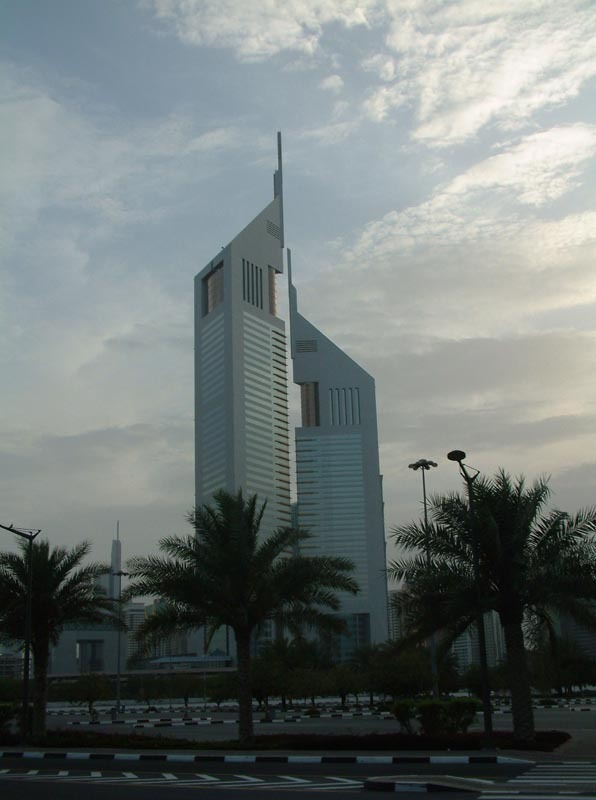 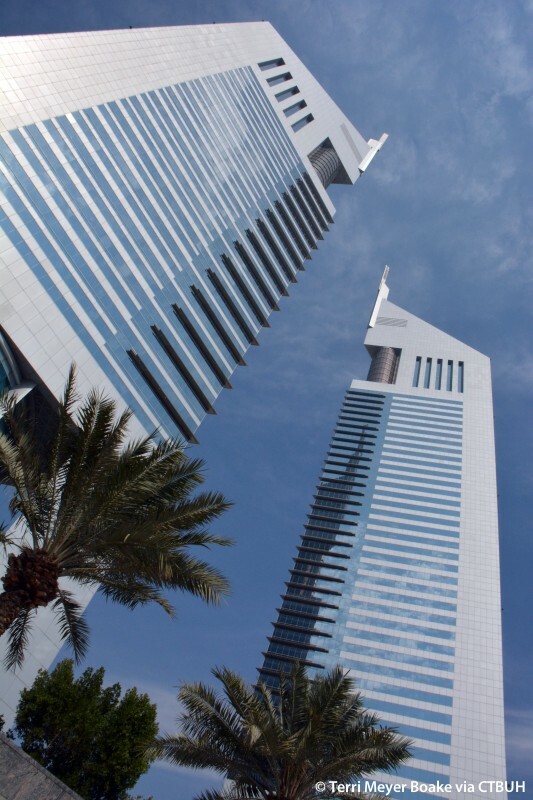 The Jumeirah Emirates Towers were designed by architect Hazel Wong, while at NORR Limited, and are often cited as the tallest skyscrapers to be designed by a woman at the time of completion.